No matter how hard we try, it’s next to impossible to get your kids to brush their teeth for the proper amount of time, if at all. The folks at Brushies found a totally cool solution to this little dilemma. 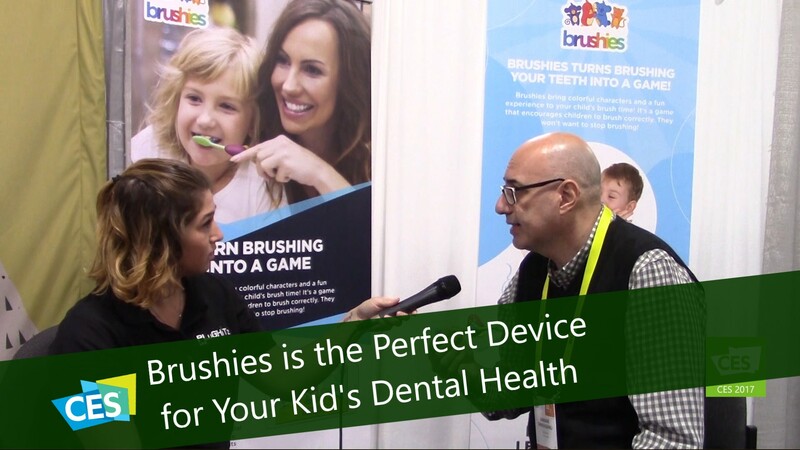 Brushies is a little adapter that is attached to any toothbrush so that your kids can still use their favorite brand and characters. It has bluetooth, an accelerometer and a gyroscope built inside that interacts with an app on your tablet or phone with built in games aimed at not only teaching your kids the proper way to brush their teeth, but also have fun in process. You can start off with very simple activities with your kids to get them use to brushing and become more advanced as they grow into playing games such as races, blowing up balloons and more. They get rewarded in the app with things like gems with the goal of increasing the numbers and ultimately their streak of days in a row of proper brushing. There are even games that can be played along with friends to add a level of fun and competition to the mix. There is a separate app for the parents that provide progress reports and even notifications to let you know when they have have brushed their teeth. These results can be then shared with your dentist who can see their progress and set up a rewards program there in the office for added pride and incentive.